Matt is an aggressive advocate who has tried many cases to verdict and enjoys the challenge of complex litigation. He handles the defense of personal injury cases primarily focusing upon the trucking and construction industries. Matt is chair of the firm's Trucking/Motor Carrier Litigation Practice Group. He is frequently contacted immediately after a catastrophic loss to visit an accident scene and help develop the facts and case strategy with an eye toward a successful result once litigation is filed. Beyond his experience in trucking and construction matters, he also handles cases touching upon a wide variety of areas including construction delay claims, covenants not to compete, breach of contract, aviation accidents, premises liability, auto accidents and product liability. Matt is a Martindale-Hubbell AV rated lawyer who has remained extensively involved in the community serving on a number of boards of community organizations. He has taught a Masters level course in the graduate business program at Bradley University and is a frequent speaker at continuing legal education seminars held across the state addressing a variety of different legal topics. He has also been instrumental in founding two local charitable organizations dedicated to, among other things, awarding college scholarships to local high school seniors. In 2000, Matt was recognized as one of the "40 Leaders Under 40" by InterBusiness Issues, a leading publication in central Illinois. Born in Pennsylvania, Matt began his legal career with Heyl Royster while he was still in law school by clerking with the firm during the summer. 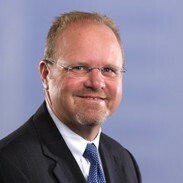 Following graduation, he joined the firm in the Peoria office in 1989 and became a partner in 1997. A.H. v. Illinois High School Association 263 F. Supp. 3d 705 (N.D. Ill. 2017), 881 F.3d 587 (7th Cir. 2018) – A.H., a T-36 disabled student athlete, filed suit against the IHSA contending that he was discriminated against under the ADA and Equal Protection Clause of the U.S. Constitution on the basis that the IHSA did not create a separate division in the State Series with different qualifying standards for para-ambulatory runners, such as A.H. At the District Court level, the court granted summary judgment in favor of the IHSA finding that A.H.’s request went beyond the scope of “reasonable accommodations” as required by the ADA. A.H. appealed to the Seventh Circuit Court of Appeals, and it affirmed. The Seventh Circuit Court of Appeals found that requiring the IHSA to lower its qualifying time standards would operate as a fundamental alteration of the State Track & Field competition. Furthermore, the Seventh Circuit Court of Appeals held that the IHSA provided an opportunity for A.H. to participate and compete on his high school team. The IHSA was not required under the ADA to guarantee A.H. certain results. This was the first appellate decision in the country which examined the extent to which accommodations are required in high school sports for student athletes with disabilities. Illinois High School Association v. Illinois Attorney General US District Court Northern District Illinois, Case Nos: 12 MR 151, 12 CV 1155, 12 CV 3758 – Successfully resolved litigation on behalf of the IHSA involving the rights of student athletes with disabilities in high school athletics. In a case of first impression, the Illinois Attorney General argued that student athletes with disabilities needed separate events and modified qualifying times to earn points for their team and have an equal opportunity to participate in high school athletics. The case was successfully resolved on behalf of the IHSA after 2.5 years of intense litigation, which focused upon the application and scope of Titles 2 and 3 of the Americans with Disabilities Act and Section 504 of the Rehabilitation Act of 1973. Hammond v. System Transport, Inc. 942 F.Supp.2d 867 (C.D. Ill. 2013) Rural intersection accident involving post-impact fire. Double fatality with admitted liability. Prior to trial, court ruled that evidence of any negligent acts leading up to the accident were irrelevant. However, the manner of death was within the scope of damages allowable for grief, sorrow and mental suffering under the Illinois Wrongful Death Act. Despite no evidence suggesting either decedent survived the impact, plaintiffs' counsel argued various facts regarding the subsequent fire was relevant. Despite some of the aggravating evidence associated with the fire post-occurrence, court ruled that it could not exclude all evidence associated with the manner of death or the events surrounding the accident. This was an issue of first impression in Illinois. Burch v. Earle M. Jorgenson v. Morton Welding Circuit Court of Tazewell County, Illinois, Case No: 04 L 56 – Obtained summary judgment on the eve of trial for a welding company. Plaintiff suffered injuries during the unloading of a flat bed semi. Plaintiff had a career ending back injury, which resulted in three surgeries. After summary judgment was entered for our client, the case settled for $2.2 million. Jeramie Morris as special administrator of the Estate of Kimberly Gregorich, deceased and the Estate of John F. Parrett, IV deceased and Elizabeth Johnson, Individually and as special administrator of the Estate of Inara Parrett, deceased v. Nathan E. Merrill and Martin Co. Excavating Truck driver ran stop sign resulting in deaths of 18 month old child, child's father and child's grandmother. The child's mother survived, but suffered various injuries. Retained by insurance carrier to help navigate through potential bad faith issues. Complex pre-suit investigation with numerous issues explored, ultimately resulting in favorable settlement at mediation within our case evaluation. Knight v. Smithway Motor Xpress, Inc. Case No. 08-4046 Trucking accident litigation involving serious injuries with a complicated recovery. There were multiple parties involved with claims for punitive damages and spoliation of evidence. We represented the bailee of the trailer involved in the accident, a concrete pre-cast manufacturer. It was alleged that the trailer involved had various brake problems arguably contributing to the accident. Complex case with a favorable settlement reached for our client through mediation. Chapman v. Brokaw 225 Ill. App. 3d 662 (3d Dist. 1992) Jury trial arising from a dispute under a lease with an option to purchase a home in Peoria. Issues involved whether the covenant of quiet enjoyment was breached and whether our clients' properly exercised their option to purchase the property. Morton Community Bank v. Nash-Hasty Investments Tazewell County, 98 L 133, and NASD Arbitration No. 98-03671 Represented two stockbrokers against a bank in the successful arbitration of a covenant not to compete before the National Association of Securities Dealers.